Bring your own bottle of wine and enjoy a glass with your meal at The Mediterranean on Mondays and Tuesdays. £2.50 cork charge. Book online for free text confirmation or call 0114 421 0012. 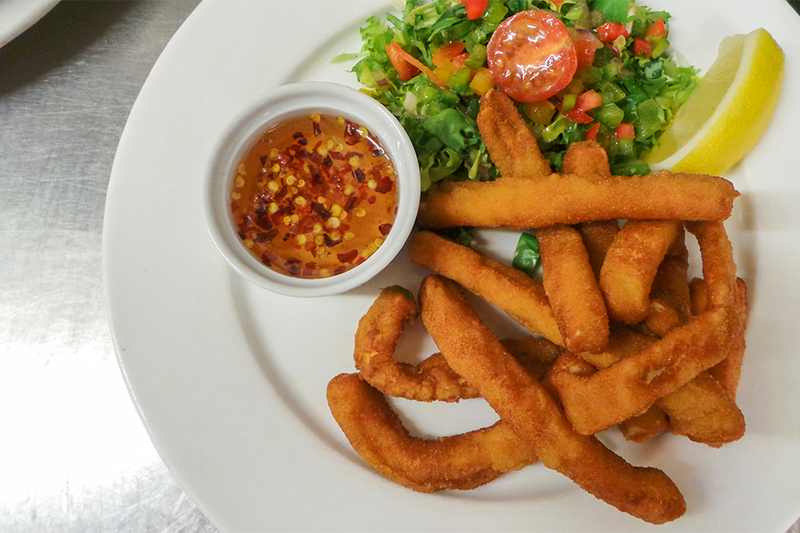 Tuck into a delicious and extensive range of tapas dishes starting at only £1.95. See Tapas Menu for more details. Book online for free text confirmation or call 0114 421 0012. 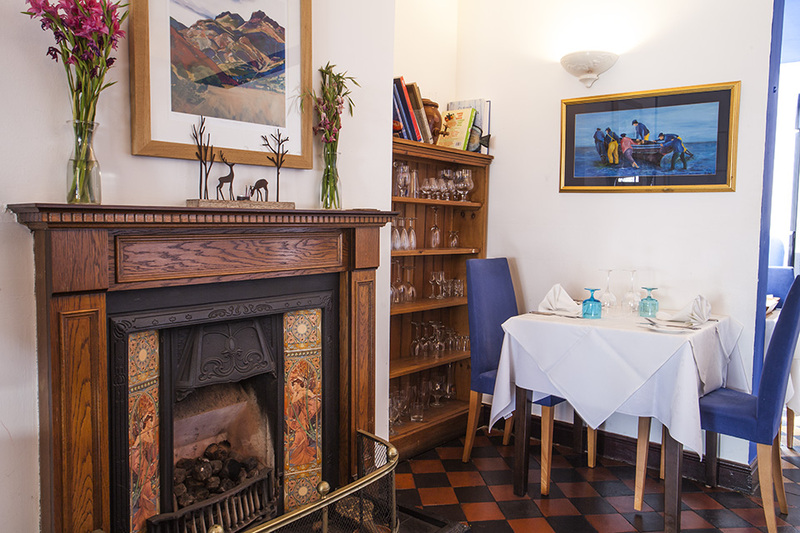 Indulge in a delicious specially made main meal- a generous selection priced at £17.00, see menu for details. Book online for free text confirmation or call 0114 421 0012. The meal and service were of a high quality, as always. Lovely evening with tapas- good service and ambience!! Proprietor and staff were friendly and welcoming, food was delicious and different. Service was quick without being rushed. 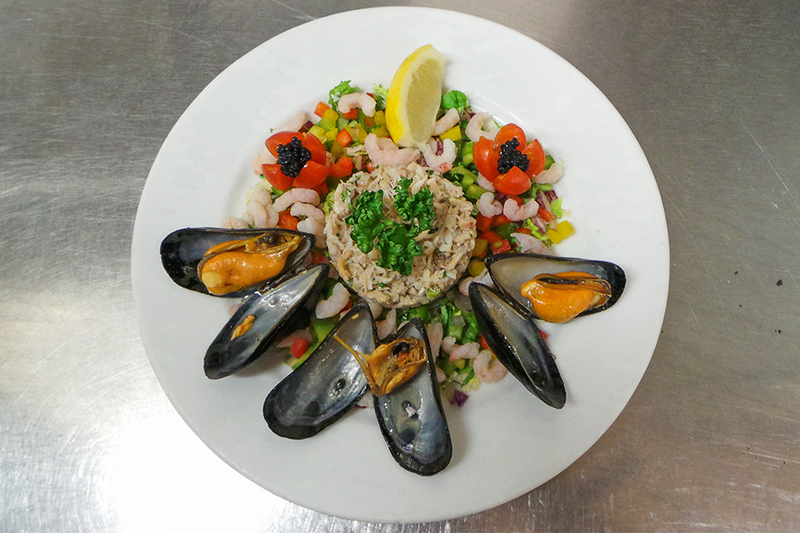 An enjoyable evening and a treat for seafood lovers like us. Delicious stuffed baby aubergines and turbot! Nothing could be faulted from entering to leaving, never had a poor meal at this location. 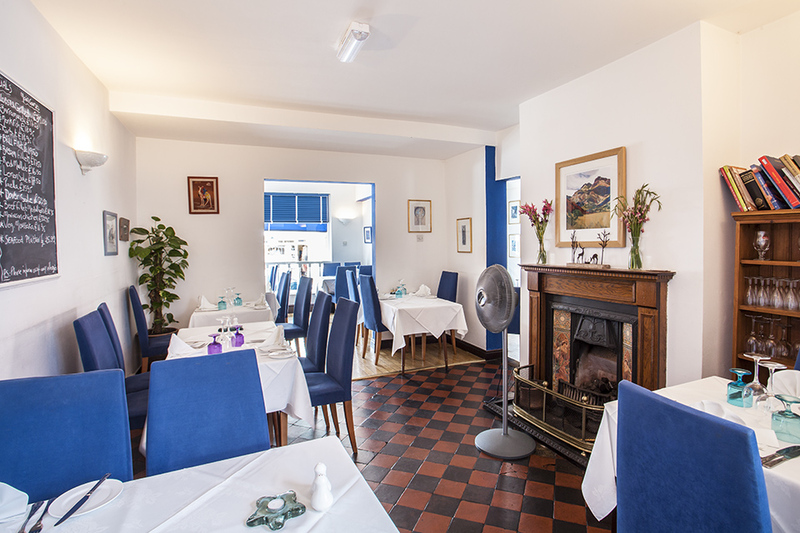 Excellent service, amazing food and everything cooked fresh and how you like it. Excellent food and service, staff all amazing and could not do enough for us. We always visit when we are in the area. Food and service excellent at Mediterranean, staff very helpful and took great care to ensure my allergy was discussed with the chef. The only issue was the table we had for 5 people was too small with the person on the end unable to put their legs underneath the table due to a large cross bar, which meant they were uncomfortable all through the meal. Fantastic service - Rashid was aware I wanted gluten free food. Explained which tapas and mains could be adapted as well as giving me a GF menu. Tapas: chargrilled chicken and salmon, stuffed aubergines, and mushrooms with chorizo all beautifully cooked and served on hot plates. Bread for my husband was complementary, as were the olives. Both of us had delicious duck with fresh vegetables. House wine good and reasonably priced. A fantastic place. Thank you to all the staff! Quality food and great service, can highly recommend! Very good meal with outstanding service. The food was well cooked with good ingredients, the presentation was excellent and the service first class. Really excellent meal. Good wine, great service and perfect ambience. Really enjoyed it. Very pleasant Tuesday evening great, great looking menu. We come up from Bournemouth twice each year and we found The Mediterranean last year. We love the food and this year our request for a particular wine to be in stock was remembered. Where I couldn't eat all my food (generous and rich portions!) they very kindly allowed me to take a fillet steak home which was delicious when I had it there and when I seared it again at home! I also took my cheese plate home. A lovely selection of beautiful cheeses served at right temperature. Next time, I'll order course by course? Excellent menu at The Mediterranean. Absolutely beautifully cooked duck main course and very tasty goats cheese starter. Very friendly staff at the Mediterranean, very welcoming. Good wine list with competitive prices. Some of best fish we've had away from the coast. Will definitely visit again and would recommend to anyone! Great food with a good choice. Service was very good, never felt rushed or forgotten. Restaurant clean and friendly and not too overcrowded. Will be back with friends. Had tapas. Food was excellent. Service attentive and efficient. Happy to leave us to chat at the table once we had finished eating. Ate tapas at lunchtime for a friend's birthday. Nice relaxed atmosphere. Food was very good. I have now booked to go again with another group of friends. As always, going to the Mediterranean is a pleasant experience. 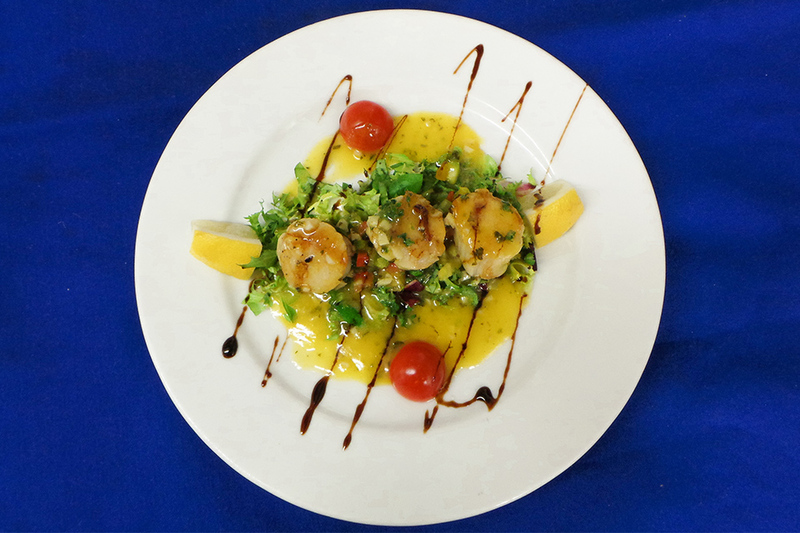 The food is consistently of a high standard, served attractively. I always eat fish dishes, and these invariably well cooked and interesting. For desserts, the tarte tatin is excellent. The staff are professional and friendly, and Otto always makes you feel welcome. The wine list is not very long but is good, perhaps a bit on the pricey side. The ambience is relaxed. A wonderful selection of food on the menu. Every time I visit I try something new and I'm never disappointed. Its fantastic for the value and always has such a lively atmosphere. I recommend The Mediterranean to people of all ages! We all ordered fish dishes for main and the quality of the food was absolutely fantastic. You simply can't cook fish this well at home I find. Looking forward to my next visit to The Mediterranean! 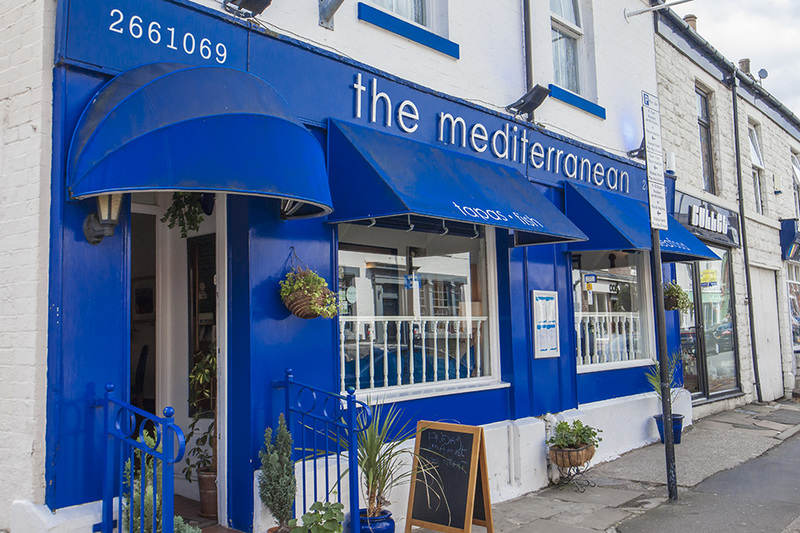 If you’re looking for a little taste of sunshine in Sheffield, look no further than The Mediterranean restaurant. 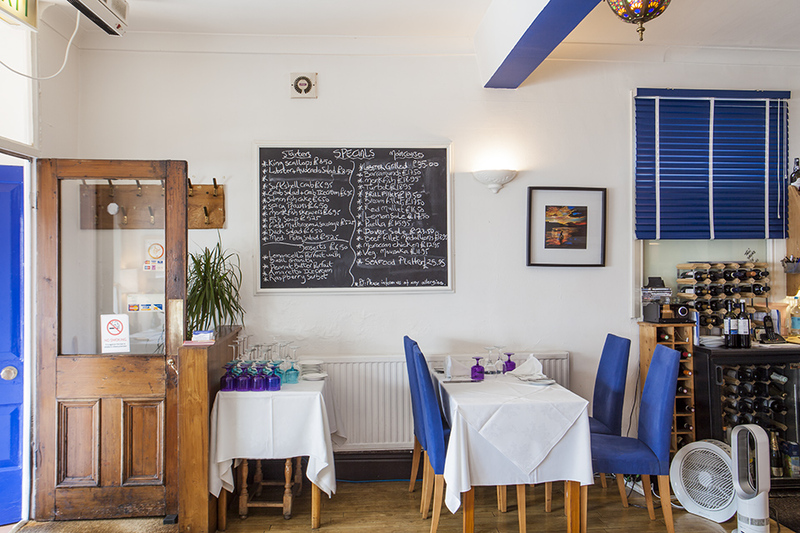 Serving up authentic Spanish tapas, fresh fish and seafood to hungry locals and visitors, it’s perfect for those looking to escape from the hustle and bustle of the city for an hour or two. 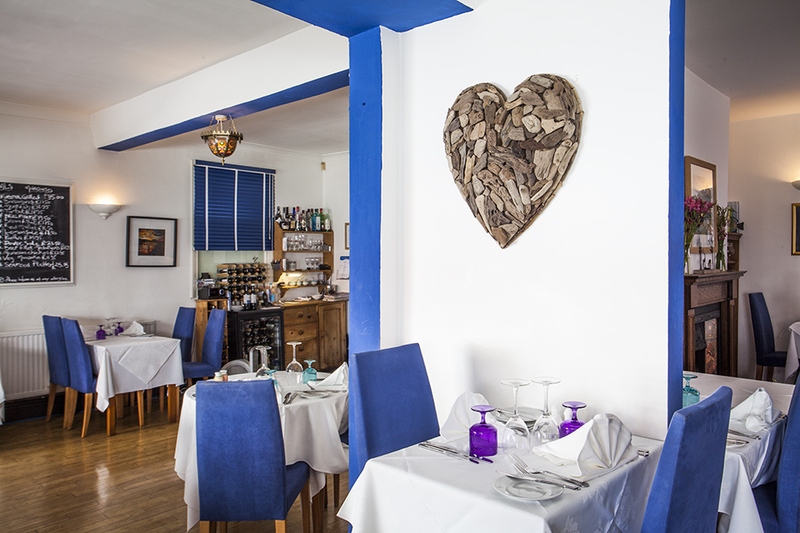 A small and intimate venue, The Mediterranean is the perfect setting for good food, conversation and plenty of laughter. The cheery sea blue exterior is just the start of your journey to the Med and the welcome you receive is equally as warm. With friendly staff and tastefully rustic decor, you'll find yourself transported a thousand miles from the streets of Sheffield. 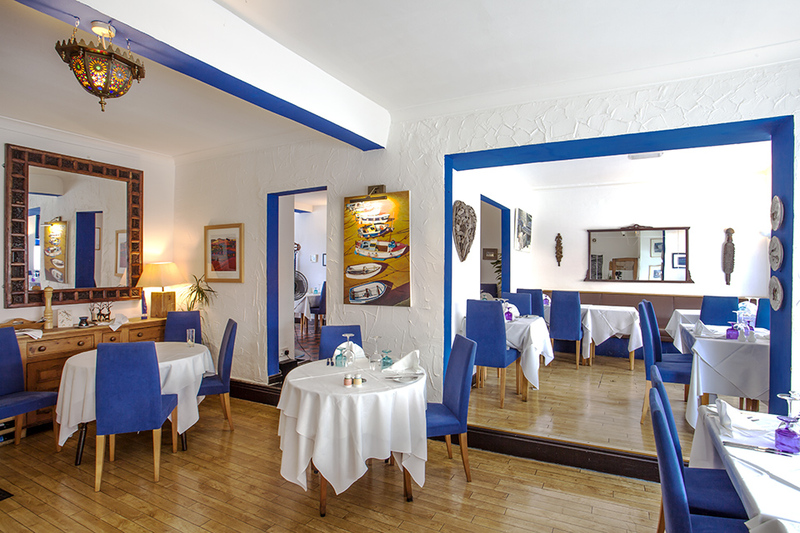 The menu offers a good selection of flavourful Spanish tapas, fresh fish and seafood, as well as several Mediterranean-inspired meat mains. The tapas is available at lunch time throughout the week as well as selected evenings and you can expect to enjoy dishes such as field mushrooms with spicy sausage, char-grilled king prawns, classic patatas bravas and succulent monkfish skewers. 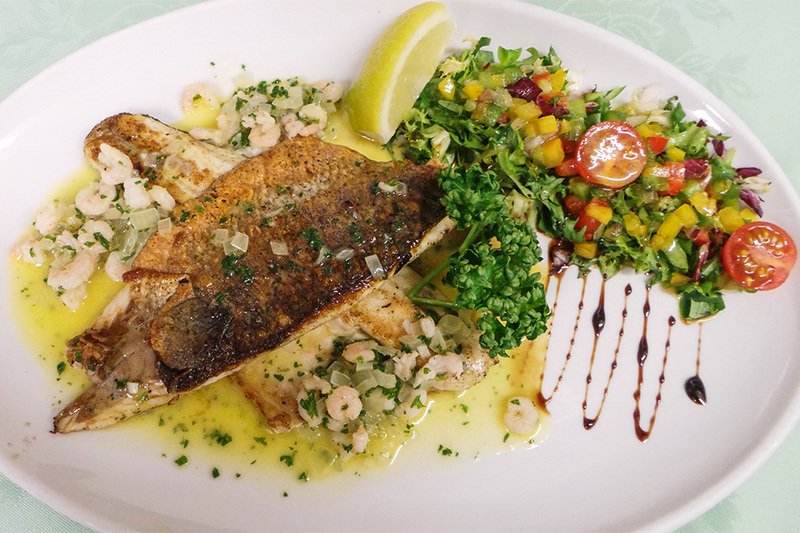 The a la carte menu features an abundance of delicious fish dishes, including whole roasted gilthead bream served with an orange, lemon and herb salsa, as well as tasty creations for the carnivore within such as pan-roasted duck breast stuffed with apricots and ginger, roasted and served on caramelised onions with a port and red wine sauce. 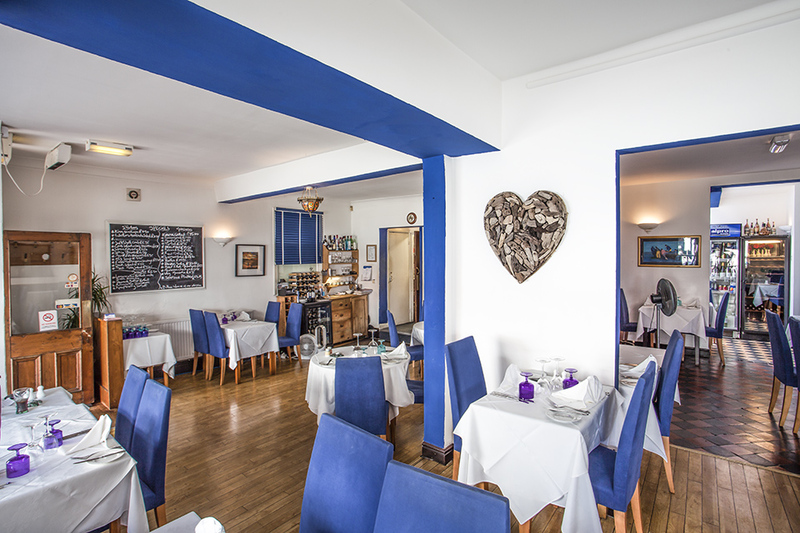 The Mediterranean restaurant in Sheffield is a cosy, bright venue that is certain to encourage holiday-style happiness in each and every diner. 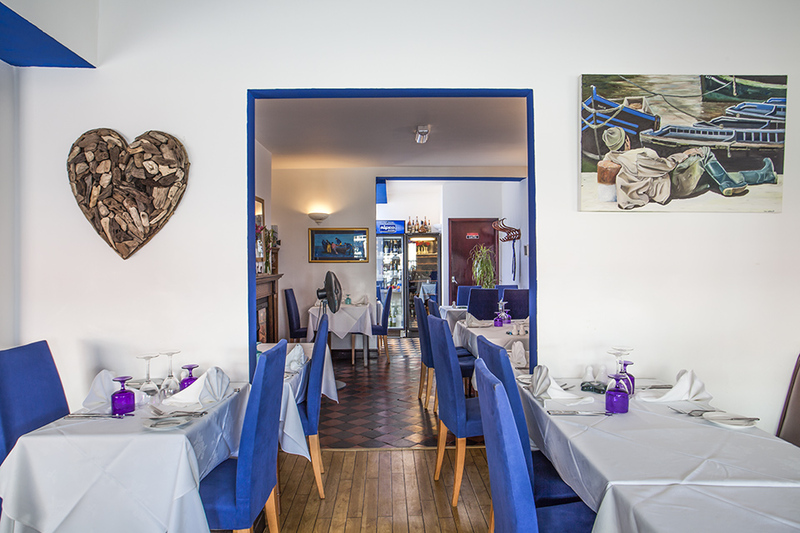 With flavoursome food and an authentic interior, it's the perfect destination for those looking to enjoy the company of friends and family over delicious food. Bring your own bottle of wine and enjoy a glass with your meal at The Mediterranean on Mondays and Tuesdays. £2.50 cork charge. Tuck into a delicious and extensive range of tapas dishes starting at only £1.95. See Tapas Menu for more details. 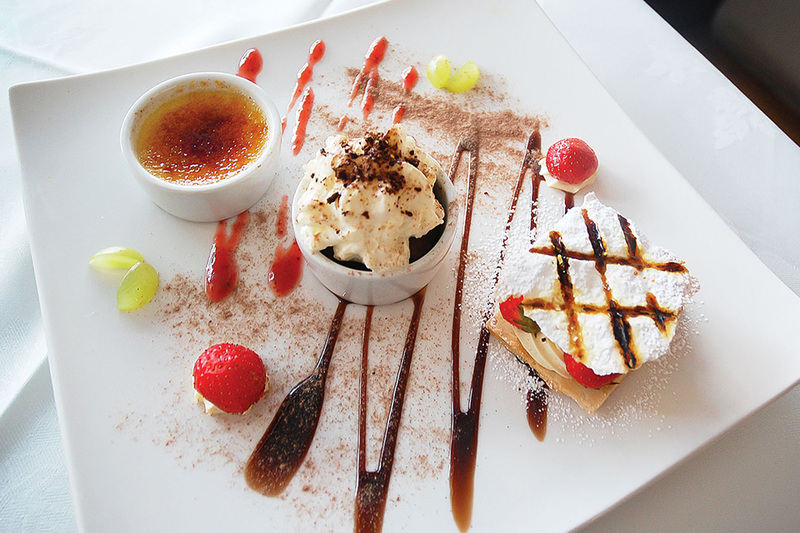 Indulge in a delicious specially made main meal- a generous selection priced at £17.00, see menu for details.